Apple TV is a piece of hardware that connects to your TV and lets you stream your favorite content. Typically, you only need one piece of hardware for each TV that you want to watch shows on. That means if you have a Roku, Chromecast, or Amazon Fire Stick you might not need an Apple TV. However, they all have their own strengths and weaknesses and the Apple TV isn’t short on strengths! Apple TV connects to your TV through your TV’s HDMI port. Apple TV is basically a small computer that gives your TV capabilities that it doesn’t have alone. Smart TV’s can connect to the internet and download certain apps to play, but they don’t support as many services as an Apple TV or offer as many additional features. Think of the Apple TV as making your Smart TV even smarter. Even if your current TV isn’t smart, as long as it has an HDMI cable you can connect your Apple TV and start using it! Can you watch sports on Apple TV? 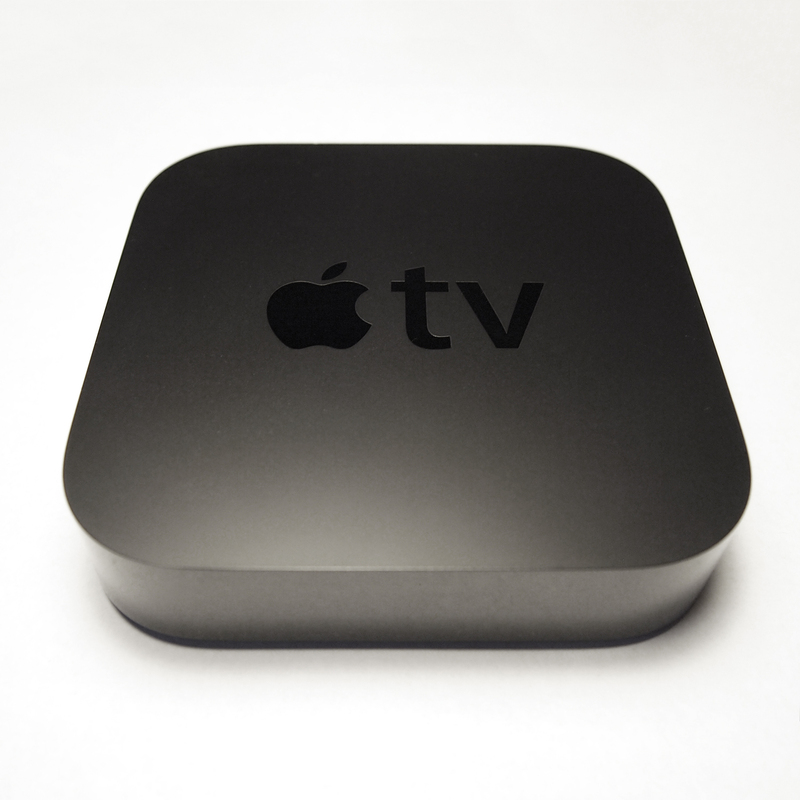 How much does Apple TV cost per month? To use your Apple TV, it needs access to the internet. You can connect it to your Wi-Fi, or you can plug an Ethernet cable directly into it from your router. An HDMI cable doesn’t come with the Apple TV, but it is the only way to connect it. You would assume it comes with everything needed to hook it up to a TV, but it might be for the better that it doesn’t. HDMI cables are fairly inexpensive and there’s almost no difference between a cheap one and one that’s $90. If you don’t want your Apple TV to be too close to your TV, you can purchase a longer HDMI cable for a little bit more. Note: If you want to connect your Apple TV to a home theater system, you need to purchase an optical digital audio (S/PDIF) cable. Once you have all of the required hardware, setting up the Apple TV is pretty straightforward. Plug the Power cable into the back of the Apple TV. Plug your HDMI cable into both the Apple TV as well as the back of your TV. If you are using hard wired internet connection only – Plug the Ethernet cable into your router and the back of the Apple TV. Turn on the TV and connect to the Wi-Fi by using the Apple TV remote by following the steps on the screen. Like most Apple products, the Apple TV have a great interface that makes it incredibly easy to make it through the steps. One of the major benefits of the Apple TV over the Roku or other devices is that it’s the only piece of streaming hardware that natively supports iTunes. If you have an extensive iTunes library or like to purchase media through it, Apple TV let’s you stream it directly onto your TV. The Apple TV isn’t short of it’s own apps though. It has numerous channels that are free, limited access, or paid subscription apps that let you cut the cord without worrying about missing out on content. 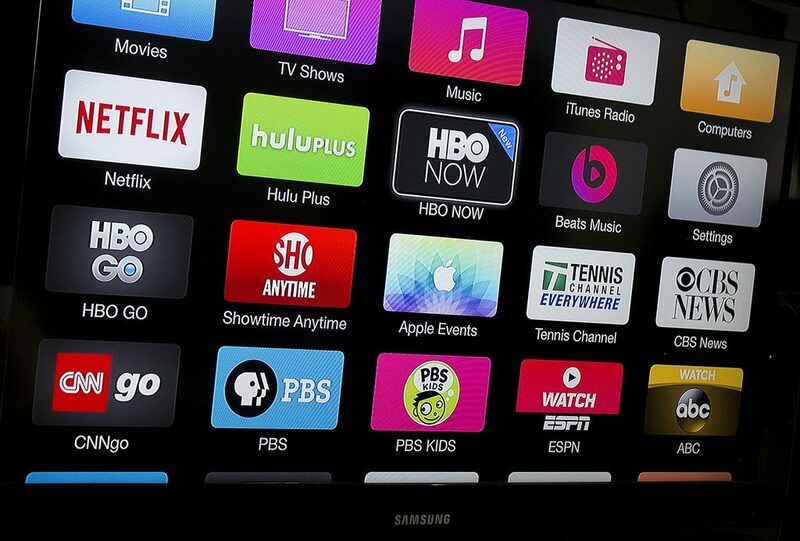 Apple TV also supports some other apps such as Sling TV, DirecTV Now, FuboTv and others. If you’re goal is to replace cable with streaming services such as those that play typical cable TV channels, we’re working on adding a feature to help you figure that out. When it’s live, we’ll update this post with a link to the web app, but if you’d like to add your email to our newsletter you’ll know ASAP. Apple TV is always adding more TV channels and it can be difficult to list them all. If you notice any discrepancies with our lists, comment on this article and we’ll try and update it asap! Apple TV has seamless integration with the iPad and iPhone when it comes to screen mirroring. By using AirPlay, Apple TV can display whatever is on your portable device directly to your television. For example, you can use the CBS app on your Apple TV by mirroring it from your phone. The benefit of Airplay is that it allows you to use your portable devices to make up for the Apple TV’s slightly lower channel lineup. If you’re not familiar with Airplay, it’s Apple’s wireless technology that is built into all iOS devices. Navigate to your home screen and swipe up to reveal the Control Center and the AirPlay button. 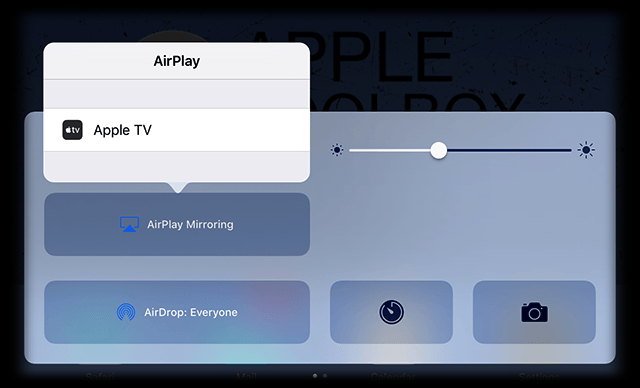 Tapping the AirPlay button will reveal the different devices that you can connect with via AirPlay. In the picture above, you can see the button for our Apple TV. Once you click it, you’re connected it and it’s as simple as that. You should be able to see whatever is on your phone on your Apple TV and it will continue to display it as long as you don’t disconnect the device. Yes you can! There are plenty of different ways to watch sports without cable. You can watch through some of the apps that are noted in the “Apple TV Channel” section of this article or by purchasing a non-contract streaming service. 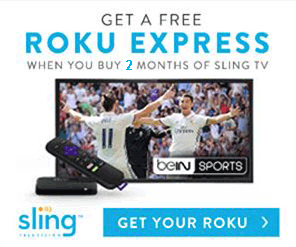 SlingTV is a great option for sports and has a lot of different addon packages if you’re looking for something specific. Apple TV is a device and has no monthly fee. Once you purchase the device, you can use it for free to stream everything listed in the “Free Apple TV Channel” section above. If you want to watch Netflix, Hulu, or other paid subscriptions on the Apple TV, you don’t have to pay anything other than the subscription fee. Although the $149 cost of an Apple TV is a little steep, if you’re watching a lot of iTunes or are a die hard Apple fan, it can be well worth the money. A majority of streaming content is on demand. However, some channels do offer live TV on Apple TV. Some of these channels that offer live TV for free include ABC News, Bloomberg, Sky News, and CBS News. There are also some channels offer it with a cable TV subscription like Disney, ESPN, Showtime, Fusion, and ABC. If you’re looking for specific content and are willing to pay a subscription fee you can stream live TV on Apple TV from CBS, NBA, and NHL.